We writers love to write about writing. Do other artforms love discussing their own art like we do in our neck of the woods? Do painters paint about paintings? Or singers sing about singing? Okay, this is a silly notion and the answer is sometimes, but nothing like us writers. We own this. Yes, we writers love to discuss our artform (read and write) and I even have the personal proof to back the magnitude of this. See, I like to think I write on a lot of interesting topics from movies to life experience to TV to parenting, etc. (Heck, even last week I wrote 1300 words on Winnie-The-Pooh! ), but nothing beats the numbers of visits I get when I put up a new writing post. And luckily for me I love writing about writing. Books, and the creation around them are a passion of mine. I love throwing a thought out there and watching the responses come in via twitter and comments. Sometimes I agree with the responses, sometimes I don’t, but it is always fun (not when they get mean, of course, which sometimes does happen). I thought today I would link back to four of my personal favorite writing posts with updates and new thoughts from me on them below their link. Consider it the equivalent of a reunion special… of my mind. There is a lot about Twitter I love. I like being able to communicate with fellow readers and writers. I also like what it does for my blog and its traffic. 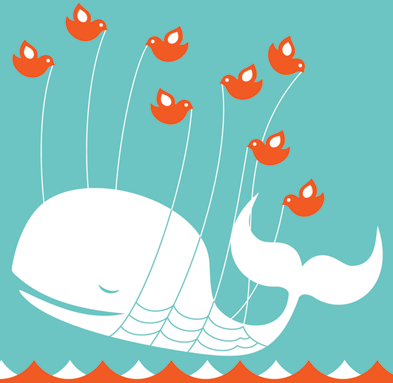 However, I am still uncertain if Twitter is the best way to sell a book. I just don’t see the response from tweet to amazon page from it. That’s not to say it isn’t possible (maybe I haven’t cracked the perfect formula yet? ), I just think blog, reviews, and GoodReads has a much better return at this time. So am I recommending other writers stop tweeting about their books every hour? Yes…. Maybe…. I don’t know. 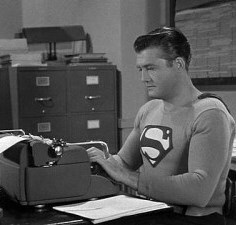 There is just so much a writer can do on Twitter, and even for me seeing the same thing on twitter all the time can be a little exhausting. Also, honestly, I just can’t see myself going to Twitter to find my next novel, if that makes sense, or being convinced by 140 characters. I’ve been really enjoying the response to this post, and I think it is very telling of our artform right now (as I said in my post we are in new territory here). One of the responses I received argued that this related primarily to the rise of television and film as a writing medium, and I think I agree with parts of that. See, television and film stories are simpler than books, usually only have time to cover one plot arc at a time with limited characters, fitting more nicely into the idea of a series since there is more to tell. Books don’t have that limitation. So are writers not thinking of their books as, well, books, and that is why the idea of writing a series is so prevalent? Should many of these series really be one book without the padding? Interesting. Another thing that that came up in the response is the business end of it. Some comments argued that it was a smart thing for a writer to do. Many writers will create a series, and then have the first book for free on amazon, for example. Yet, it seems to me that is quite a risk and a lot of time to put into something in the hope that a reader would want to continue to follow one’s characters after the first book. Personally, I don’t want to convince any writer not to follow his/her heart. If it is what inspires you, go for it! The only advice I would give is that each writing medium is different. Try to embrace what makes a novel special from the others out there (possibility for richer character development, descriptions, the capability for complicated plots, etc. )… oh, and don’t immediately start writing the screen adaptation after locking down that first draft. I’m still shocked by the reaction I got from this piece. See, a few months ago the article was shared on The Passive Voice and the reaction was overwhelmingly… harsh. I was attacked for standing up for the idea of gatekeepers, for even having an agent, and, frankly, for breathing. Now, some of the aggression seemed to stem mostly from people’s own experience with agents. If you have had the dream of being a novelist your entire life it is easy to hate a system that keeps telling you no. And agents, with their form letters, assistants, and automated response e-mails are very good at saying “This is not for me.” and making you feel it all the way down to the marrow of your bones. The creation of each of my books has been a very different experience. 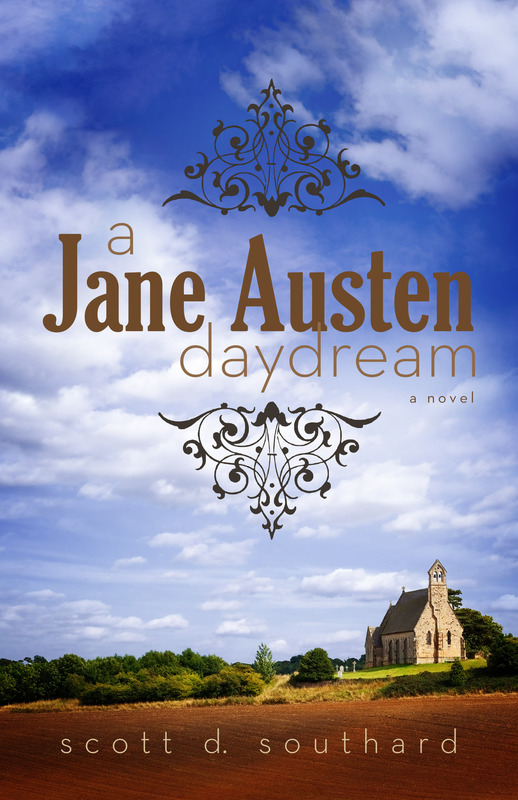 A JANE AUSTEN DAYDREAM (my latest novel just out) was hard, really hard. It will probably always be the most difficult book I ever write. 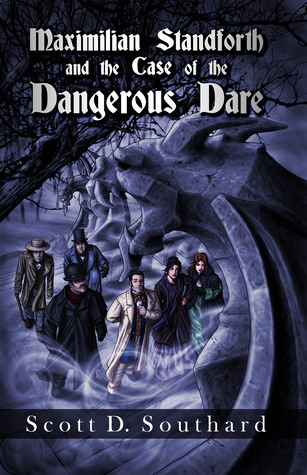 MAXIMILIAN STANDFORTH AND THE CASE OF THE DANGEROUS DARE was gleefully fun. I felt like I was a kid who snuck into a candy store after closing hours. PERMANENT SPRING SHOWERS, which I wrote in “real time” with one new chapter a week on the site was nothing but stress with little life-sustaining “eureka” moments. MY PROBLEM WITH DOORS was like climbing up a long staircase, fun in the beginning, but more and more difficult with each step up. MEGAN felt necessary. I had to do that book. CASSANDRA ON THE ISLAND (unpublished) was like exhaling a deep breath I had been holding for most of my life. Yet, the one thing all of my books I listed above have in common, besides my name on the cover, was fear. Every one of my major projects began with fear. Sometimes the fear can hold back the creation for years (AUSTEN), other times the fear can inspire me to run with it immediately (SPRING), whatever the case the fear was there and it is a very good thing. As I get older I believe more and more that facing one’s fear in art (and looking for it) is the path for breaking new ground in writing and literature. If you want to be different from other writers, have your work stand out, you can’t be doing the same thing you did year to year. You need to step away and begin looking for the monsters in your writing notes. If you liked reading my article, why not check out some of my published books? I’ve had three novels published in the last few years, the new A Jane Austen Daydream, Maximilian Standforth and the Case of the Dangerous Dare, My Problem With Doors and Megan. You can find them via my amazon.com author page here, or Doors and Megan as an eBook on Google eBooks here. Thanks for reading! This entry was posted in Writing and tagged A Jane Austen Daydream, Advice, Agents, Amazon, Authors, Books, Creative Writing, Creativity, eBook, Fears, Fiction, GoodReads, Inspiration, Jane Austen, Kindle, Literary Agent, Novel, Publishing, Sale, Screenplays, Series, Television, Twitter, Writers, Writing by Scott D. Southard. Bookmark the permalink. Found this all most absorbing. Great. Bookmarking it now 🙂 Perfect!